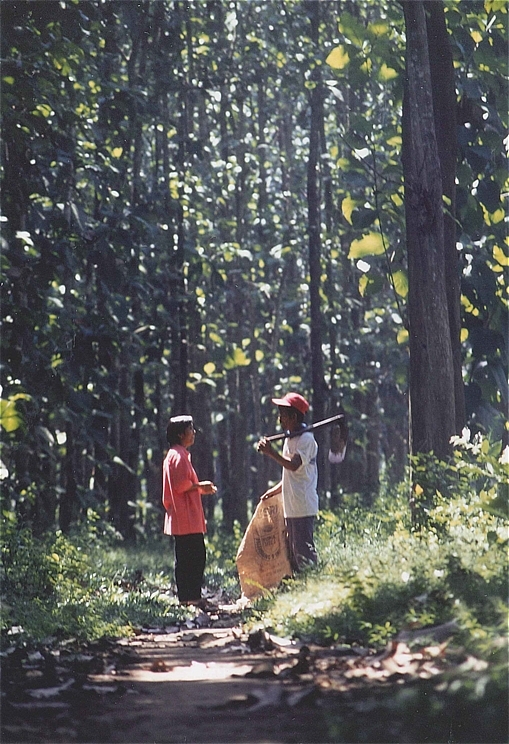 The main ingredient of DRIED KONYAKU is ‘Mukago Konyaku’ which is naturally grown in Tretes, a mountainous area in the Java province of east Indonesia. Although KONYAKU’s country of origin is Indonesia, it is not something traditionally eaten by the people there as it is considered to be a weed. The Dried Konyaku product was first produced by Seijji Ishii, a Japanese soldier who was captured during World War II, and held as a prisoner of war in Indonesia. His dream was to help develop a good relationship between Japan and Indonesia, and he created a product which allowed this to be possible. I would like to talk about his story today. When the war ended in 1945, Seiji Ishii decided to stay in Indonesia. Those remaining Japanese soldiers, including Seiji, were abandoned by the Japanese government and had to live a very hard life. However Seiji launched a business selling shoes, and he became quite successful. This enabled him to focus on what he really wanted to do, which was to pursue his dream of creating harmony between Japan and Indonesia. There were two parts to Seiji’s dream. Firstly, he wanted to create a cemetery for Japanese soldiers. Those remaining Japanese soldiers had had to join the Independent war whilst in Indonesia, and many had been killed. Seiji himself walked to search for bodies of the dead, and created a cemetery in east Indonesia, Surabaya, for his people. He also supported any remaining Japanese soldiers who were struggling to live in poverty. The second part of his dream was to create a positive connection between Indonesia and Japan. He was living in Indonesia as an Indonesian but still had very strong feelings about his own county, Japan. He wanted to create something which helped the local people of Indonesia, whilst giving something to Japanese people at the same time. His dream came true when he developed a new product, DRIED KONYAKU, which is created from a plant which can only be grown in Indonesia, and which he knew Japanese people would like to eat. It is made from ‘Mukago Konyaku’ which cannot be grown in Japan. Moreover the ‘dried’ Konyaku can only be made from this species of plant, whereas the more common ‘wet’ type of Konyaku can be made from any species. He had found something very unique, which only grows in Indonesia, and which cannot be found in Japan. Indonesian people do not eat Konyaku, as they consider it to be a weed! Seiji taught those farmers living in small and impoverished villages a way of cultivating the Konyaku as a means of economical independent living. Then, he challenged himself to create one unique product in the world which did not exist before, because he did not want to compete directly with existing Japanese Konyaku makers. He did this by creating a new version of Konyaku, DRIED KONYAKU, which took an incredible 20 years of development to find the perfect method. Seiji Ishii and Tetsuhide Yamazaki became friends when Tetsuhide was working in Indonesia as an Interpreter during the war. Whilst Seiji’s life was ruined by the war, he was thankful to the Indonesian people for their kindness. Despite the bad times he had been through, Seiji was not filled with hatred, and he hoped that something good would come out of his situation. He wanted to make a positive connection between Indonesia and Japan. Seiji talked to Tetsuhide about his dream of ‘no more war, and no more competition’, and his friend helped make this dream come true by setting up the exportation of DRIED KONYAKU to Japan. 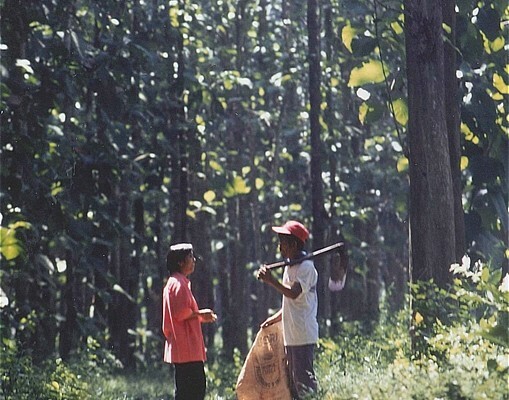 Today, Seiji’s original Dried Konyaku farming business in Indonesia, Ambiko, is managed by his grandson, Johan. It provides jobs for many members of the community, including lots of women who work in his farm and factories. Now DRIED KONYAKU is exported to USA, Canada, France, Italy and we are starting to distribute it here, in the UK.